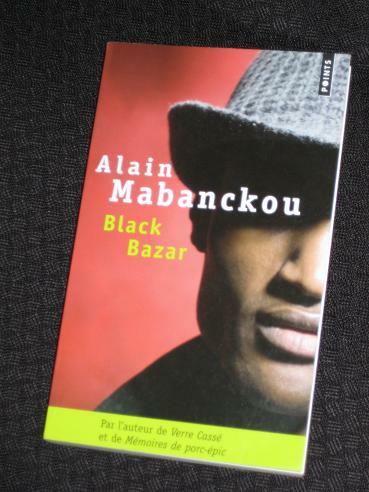 Mabanckou’s novel appears at first glance to be just a series of events and anecdotes, fun stories about the African diaspora in Paris. However, they soon become more personal, exploring the relationship between Fessologue and his partner, Couleur d’origine (‘Colour of Origin’), perhaps in an attempt to understand why it went wrong. *****Do you think it deserves to make the shortlist? A couple of points… I’d love to see a woman’s take on this work, as I occasionally got the feeling that old Fess was a touch on the chauvinist side. Would a female reader relate with him enough to enjoy the book? Also, I read this in French, so I have no idea how good the translation is. The only thing I know is that the protagonist’s name was translated as ‘buttologist’/’buttocks man’ – which I dislike for many reasons (my preference would have been to leave the name in French!). I've another one by this writer `Memoirs of a Porcupine` on my kindle although have yet to read it. It sounds intriguing – and fun. And the latter is not a word I usually associate with the Congo. I will give it a read and then get back to you with the 'female' perspective. Excellent review as always – and I just can't believe how multilingual you are! Did you order the other two in French or are they also available in English? Marina – Thanks 🙂 The other two are available in English, but I've ordered them in French (it seems a shame not to try them in the original when I – just about – can). He has one more available in English too, 'African Psycho'. This has been in my TBR for a while now. I need to make up my mind.